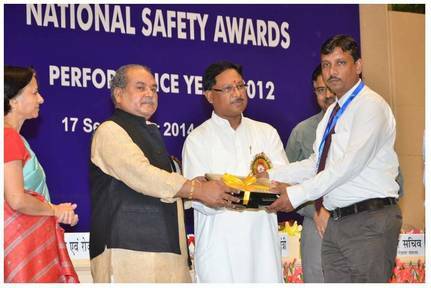 Award by Govt. 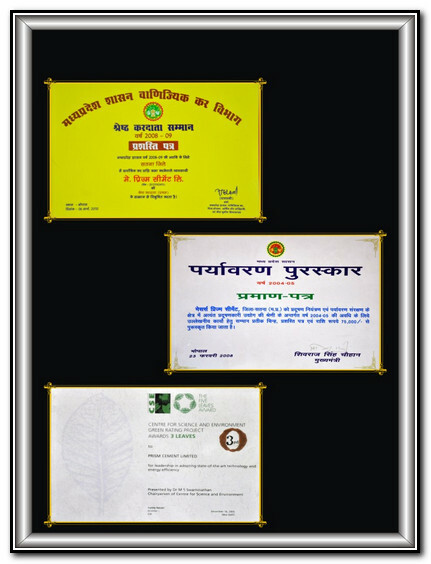 of Madhya Pradesh, Ministry of Environment & Housing for Environmental Management for the Year 2008 - 2009. 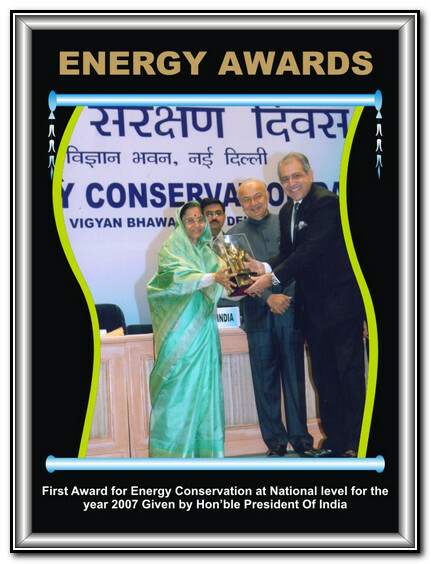 First Prize for Energy Conservation for Two Successive Years 2006 & 2007 and Second Prize for year 2008 at National Level awarded by Govt. 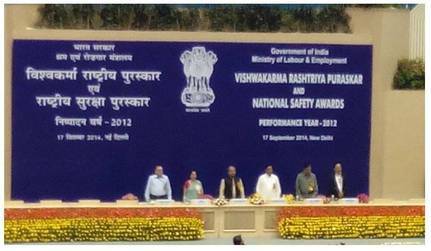 of India, Ministry of Power & presided by President of India. 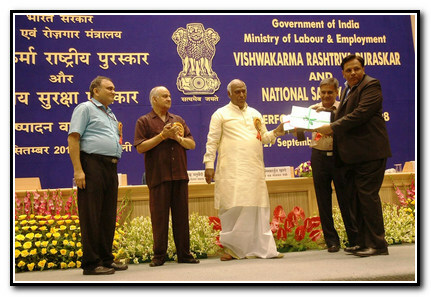 First Prize for Environmental Management for the Year 2004-05 given by Govt. 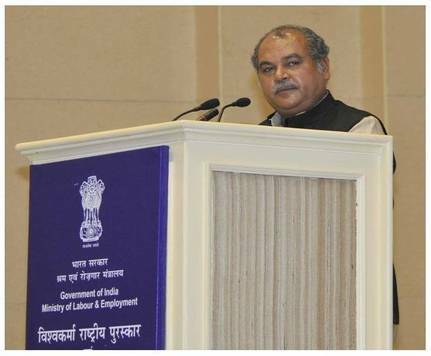 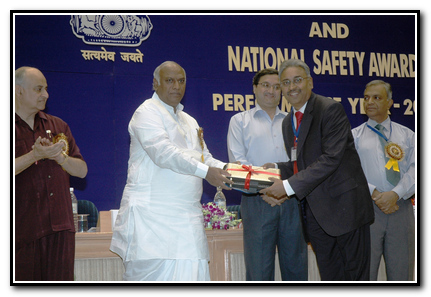 of Madhya Pradesh, Ministry of Environment & Housing given on 23.02.2008. 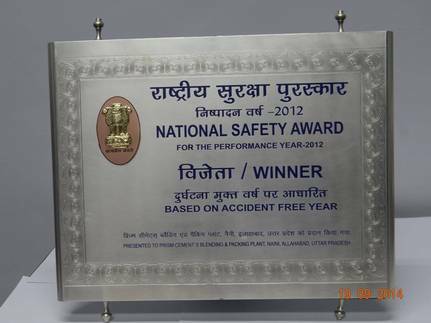 SAFETY AWARD - 2007 for the Lowest Average (Accident) Frequency Rate and the Accident Free year. 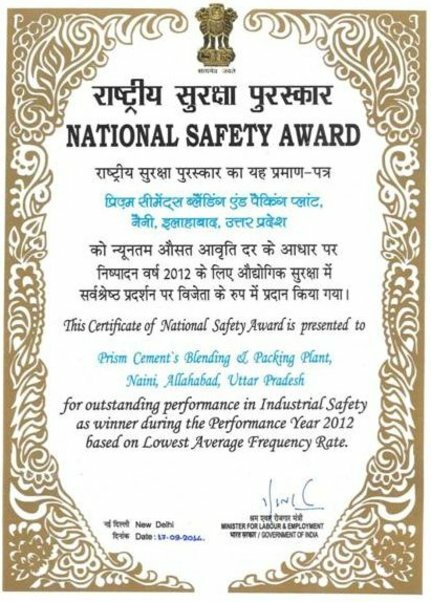 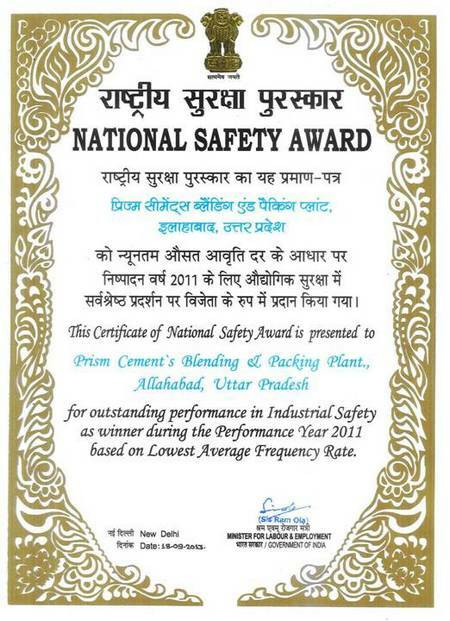 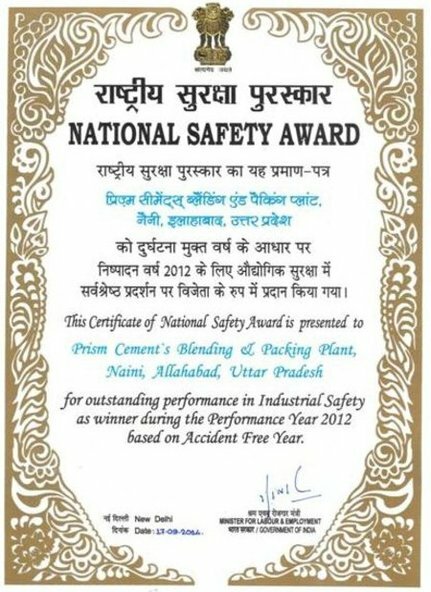 Packing Plant at Allahabad received the Winner position for NATIONAL SAFETY AWARD - 2007 for the Lowest Average (Accident) Frequency Rate and the Accident Free year. 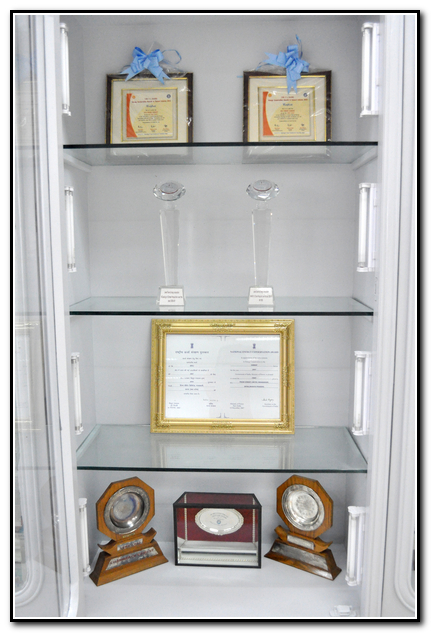 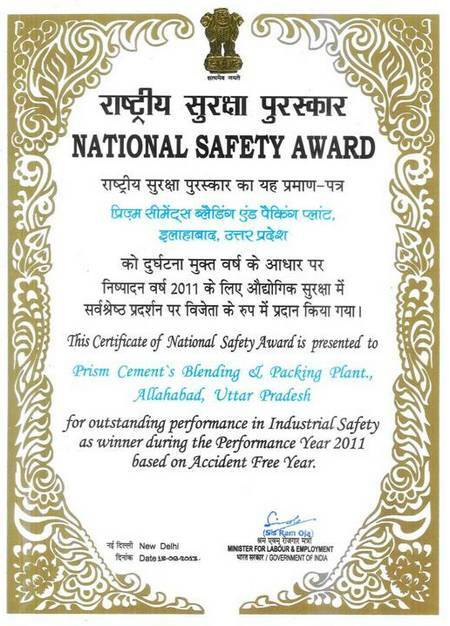 National Safety Award for outstanding performance in industrial safety as runner-up during the performance year 2006. 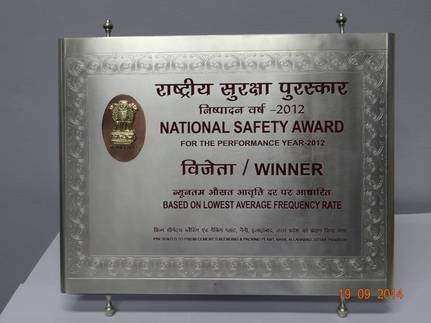 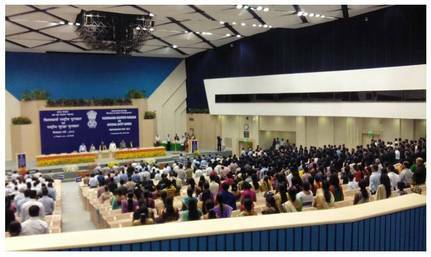 Third Place at National Level Green Rating Ranking conducted by CSE, New Delhi for the Year 2005. 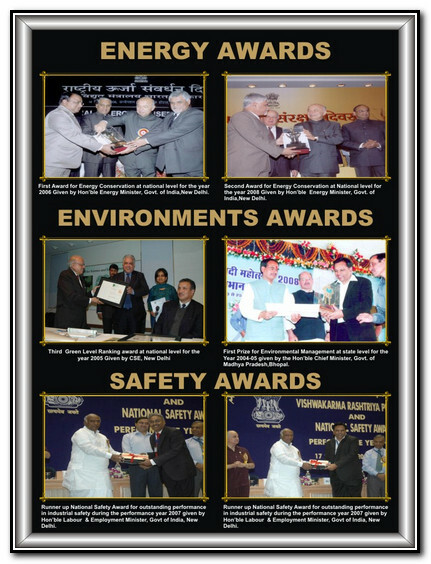 First Place in Madhya Pradesh & Chhattisgarh.